This work is on view in Marking the Infinite: Contemporary Women Artists from Aboriginal Australia through September 9, 2018. Installation view of Carlene West’s work in Marking the Infinite. 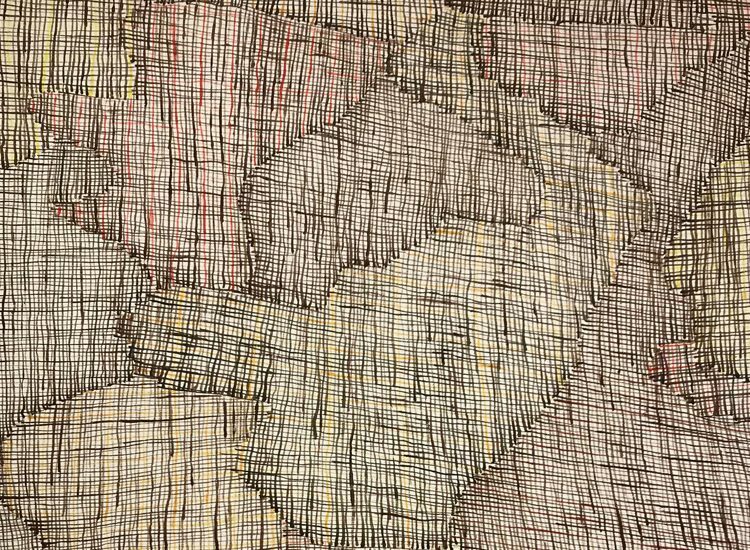 The patterns in this painting mimic the stitch and weave of the syaw, large cylindrical fishnets made from the pinbin (bush vine). With the imposition of mission life, knowledge of how to make the nets vanished. 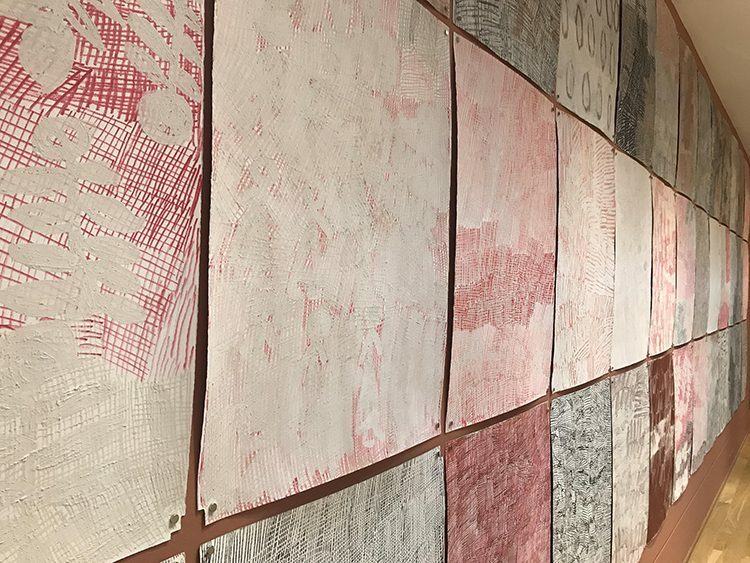 Regina Pilawuk Wilson sought to revive the lost art in 2014 when she traveled to the distant outstation of Yilan to learn from Freda Wyartja and sisters Lily and Bonnie Roy. In turn, Wilson has taught the stitch to younger generations in primary schools. 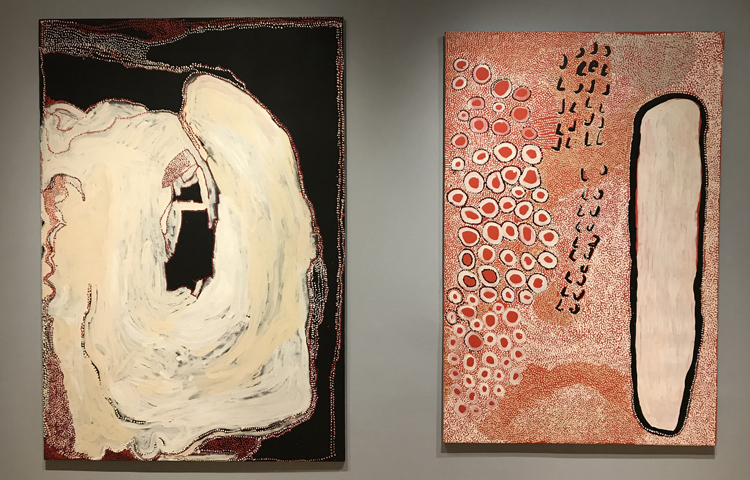 Her paintings are similarly a conscious attempt to revitalize lost traditions, showing that persistence and change coexist in Ngan’gikurrungurr culture.